Our guide to Scottsdale will help you find the best green spots in Scottsdale Arizona. The nickname 'Valley of the Sun,' is so appropriate -- the area gets more than 325 days of sun a year! And with gorgeous mountain vistas, an astounding choice of resorts, fabulous restaurants, and world-class golfing and spa options, it's no wonder Phoenix attracts vacationers from all over the country. There are tons of great green spots in the city of Scottsdale, our city guide will help you find the best green spots. You may have a hard time deciding what to do in Scottsdale, but we make your decision easy. 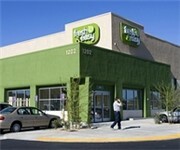 13802 N Scottsdale Rd, (480) 443-2556 - Fresh Mint is a green restaurant located in Scottsdale AZ. 15425 N Scottsdale Rd, (480) 367-1218 - Chipotle Mexican Grill is a green restaurant located in Scottsdale AZ. 2613 N Scottsdale Rd, (480) 247-8537 - d'lish provides a healthy alternative to 'fast food' without sacrificing taste or convenience for people on-the-go. 7243 E Camelback Rd, (480) 947-0795 - Roaring Fork is a green restaurant located in Scottsdale AZ. 8320 N Hayden Rd, (480) 556-0475 - Chipotle Mexican Grill is a green restaurant located in Scottsdale AZ. 9301 E Shea Blvd, (480) 860-6901 - Chipotle Mexican Grill is a green restaurant located in Scottsdale AZ. 27500 N Alma School Pkwy, (480) 585-7277 - Greasewood Flats Market is a green farmers market located in Scottsdale AZ. 4402 N Miller Rd, (480) 941-6001 - Sunflower Farmer's Market is a green farmers market located in Scottsdale AZ. 7001 N Scottsdale Rd, (480) 563-0019 - Scottsdale Seville Open Air Market is a green farmers market located in Scottsdale AZ. 8320 N Hayden Rd, (480) 951-6976 - Mercado Del Largo Market is a green farmers market located in Scottsdale AZ. 8734 E Shea Blvd, (480) 607-0170 - Prima Crossin Market is a green farmers market located in Scottsdale AZ. 9301 E Shea Blvd, (480) 551-9665 - Sprouts Farmers Market Scottsdale is a green farmers market located in Scottsdale AZ. 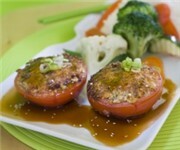 20701 N Scottsdale Rd, (480) 222-9088 - Nature's Alternative is a green food / grocery store located in Scottsdale AZ. 7129 E Shea Blvd, (480) 905-1441 - Wild Oats Natural Marketplace is a green food / grocery store located in Scottsdale AZ. 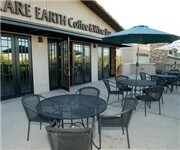 28190 N Alma School Pkwy, (480) 513-6252 - Rare Earth Coffee & Wine Bar is a green wine bar located in Scottsdale AZ. 7014 E Camelback Rd, (480) 226-9591 - Organic Baby is a green baby / kid boutique located in Scottsdale AZ. 7014 E Camelback Rd, (480) 423-6850 - Teavana is a green coffeeshop / cafe located in Scottsdale AZ. There are plenty more green spots in Scottsdale. See all green spots in Scottsdale Arizona.